Cloud computing has clearly taken the IT world by storm. It’s changing the dynamics of how organizations work today. No longer are they building data center infrastructure. Instead, they’re introducing SaaS applications that replace legacy, on-premises applications. In various ways, SaaS infrastructures have solved many problems that businesses have faced. However, the process isn’t perfect. There are still significant challenges with cloud computing, user management in particular. How have organizations executed on identity management with cloud computing? Well, it hasn’t been easy. Cloud computing, which effectively provides IT services—infrastructure, platform, software, applications—as a utility offering, has allowed organizations to scale utilization up or down, without the need to change or manage their infrastructure. The metered SaaS services scale at the same rate as the business grows effectively. This has been monumental for many business departments because IT admins no longer have to worry about the hardware and software management nor ongoing maintenance of materials. It’s been a huge change from the days of legacy enterprise software. But, as mentioned, even with SaaS services, business infrastructure isn’t perfect. Specifically there are parts of business operations that haven’t fully been reinvented to be cloud-based or perform as a SaaS solution. We are in a time of reinvention. For instance, one of the most glaring missing SaaS solutions for both small to large-sized businesses was a user access and management solution (often called directory services or identity management platforms). IT admins have been fumbling with user management through time-consuming manual management, through the use of workarounds like scripting tools such as Chef or Puppet, or leveraging single sign-on solutions. While these contrived processes work for the short term, they often leave businesses fraught with risk because they add steps, create inconsistencies, and force IT admins to manage identities in more places. The good news is, new solutions are beginning to proliferate. Both cloud computing and user management are driving new waves of innovation. If you look just a year ago directory services/ user management SaaS services didn’t exist. Now however, IT admins have the option to leverage SaaS-based cloud directories to manage user access with the advent of virtual identity provider solutions like JumpCloud®. The benefits of the cloud-based solutions are plentiful, but the single biggest advantage cloud-directories provide is the simplicity and centrality of user management. It’s a long-sought solution by IT departments. Indeed, instead of managing these resources individually, a SaaS-based directory services solution centralizes access control. Users are created in the unified cloud directory and then connected to the IT resources they need to access including cloud servers and SaaS-based applications. This aspect of cloud computing management is absolutely critical as it ensures that the right people have the right levels of access enabling productivity for an organization’s workforce, but also increasing security. 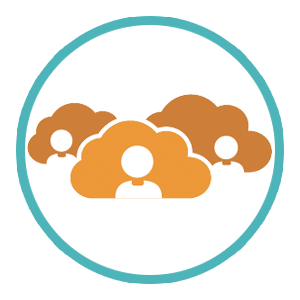 For more information about user management and cloud computing, please see JumpCloud’s Directory-as-a-Service® solution. If you have any questions, feel free to drop us a note. We would be happy to talk about whether user management and cloud computing can work for you. Additionally, you can sign up for a free account and your first 10 users are free forever.